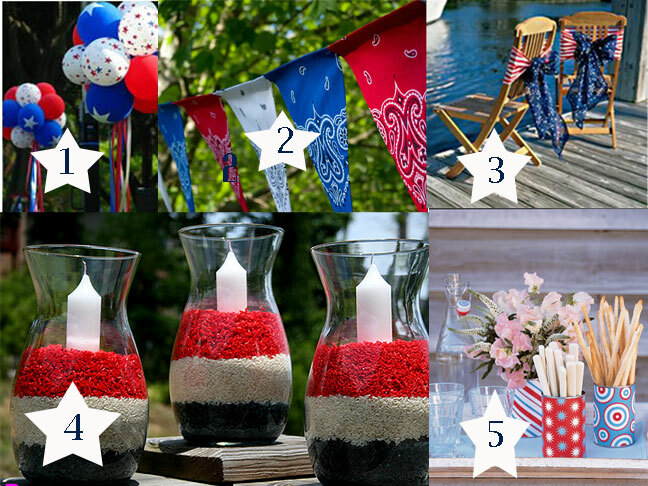 The Fourth of July is just around the corner so why not try out one of these quick and easy decorating ideas to show your patriotic party sense. 1. Make large bouquets of red, white, and blue balloons. Tie them together with ribbon streamers.